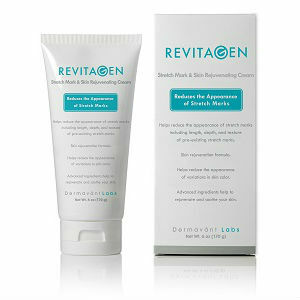 Stretch mark is a very usual problem faced by many men and women. Pregnancy, sudden weight gain or weight loss, growth spurt and medical disorders like Marfan syndrome and Cushing’s syndrome are some of the causes of stretch marks. Stretch marks are ugly in appearance and blemish your look. The commercial market is full of a number of ointments and creams for non-prescription cure for the stretch marks. These treatments not only cost you a lot of money but are also unnatural. Home remedies, on the other hand, are natural, easy to use and very cheap. These remedies are not authorized by Food and Drug Administration (FDA), therefore you should always consult a doctor before you try them. Make a great body scrub for stretch marks with glycerin, salt and honey. Add ½ teaspoon of honey, 1 teaspoon of glycerin and ½ teaspoon of salt. Mix these ingredients well and store in an airtight container. Rub it over your skin and leave it on for five to ten minutes. Wash it off with tepid water and a cleanser. Let your skin air-dry and moisturize it. Use this body scrub twice daily. Leftover scrub can be preserved in the fridge for 48 hours. Blend of vitamin E and vitamin A can help in lightening stretch marks when used regularly. Make this mixture by combing 1 teaspoon of ointment of vitamin A and 1 teaspoon of oil of vitamin E and stirring them well. Store this mixture in a container. 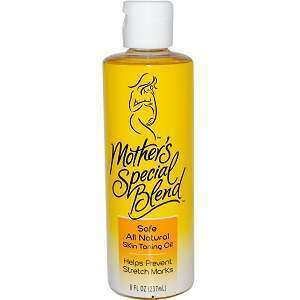 Rub a little quantity of this blend on the area affected by stretch marks. Wash off that area after thirty minutes with warm water and a mild cleanser. In the end moisturize your skin. This process should be repeated twice daily. Leftover mixture can be stored in a dark and cold place for about a week. 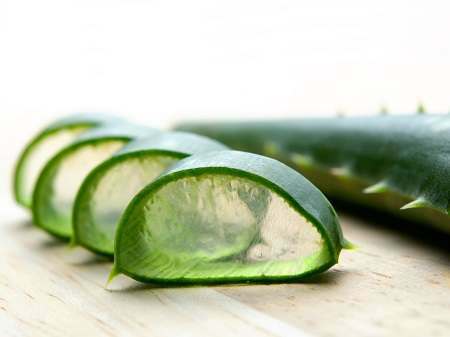 Aloe vera has many soothing and healing properties and it is used in many beauty products and cosmetics. Mix 1/4 cup of Aloe vera gel with oil from ten vitamin E capsules and oil from five vitamin A capsules. Massage this mixture onto the skin until it is fully absorbed. Use this blend on a daily basis. Another way is to apply Aloe vera directly over your stretch marks for 15 minutes. Then wash that area with some tepid water. Stretch marks can also be removed with a body scrub made by mixing tangerine peel, olive oil and fresh carrots. To prepare this scrub, mix 4 teaspoons of olive oil, peel of one tangerine and one half of a carrot in a food processor or a blender and purée for twenty seconds at a high speed. Use this mixture when you take a bath. Apply on damp skin and massage well. Then wash it off with warm water. Dry off your skin and moisturize the area. Use this treatment once daily. Left over mixture can be stored in a fridge for up to 5 days.